My name is Jeanne Hanson and I teach kindergarten through fourth grade Spanish. You can just call me Señora. This is my sixth year teaching here at Swallow. Before that, I taught at St. Anthony’s and Queen of Apostles for K-8th graders since 2000. I went to high school at Whitefish Bay High and graduated in 1982. After that I attended one year at UW-La Crosse and then transferred to UW-Madison to further my studies in foreign language. I spent the summer after high school in Weissenburg, Germany living with a family and also my junior year in college abroad in Sevilla, Spain. I graduated in 1988 with a Major in Spanish and Minors in Education, German and Italian. After graduation, I met my husband in Madison and moved to California while he served four years in the Marine Corps. After that we moved back to Wisconsin where I was lucky enough to be a stay at home mom for my two boys, Tyler and Trevor, who are currently ages 19 and 15. In 2000, I began teaching Spanish one day a week with a substitute license and realized my passion for learning and teaching. I went back to school and received my teaching license for K-12 Spanish. When not at school, I enjoy cooking and entertaining for friends and family, taking long bike rides, practicing yoga and reading. I truly enjoy my job and the variety that each day brings. I feel very fortunate to be able to see our students grow from kindergarten through 4th grade and miss them as they move on to 5th grade Spanish. I am a very positive and upbeat person and my classes are run the same way. I encourage all students to always try their best and take chances with the language. I am lucky to be at Swallow and to be surrounded by such a caring and committed staff. Please let me know if you ever have any questions or concerns about your child or the Spanish language. I look forward to many more years here at Swallow teaching Spanish. ¡Hola Swallow families! 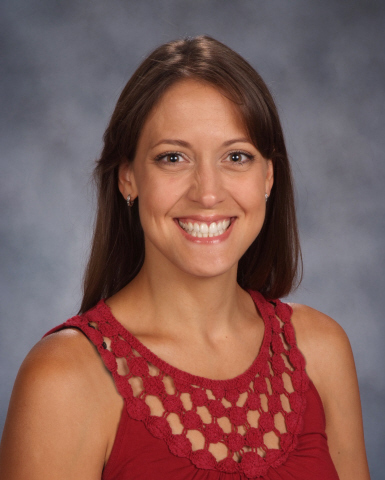 My name is Melissa Losiniecki and I am very excited to be teaching 7th and 8th grade Spanish at Swallow School. I am very passionate about the Spanish language and culture and consider myself lucky to get to share that with your children! I grew up in Okauchee and attended Oconomowoc High School where I first fell in love with Spanish. I continued my studies at the University of Wisconsin - Madison where I graduated with a Bachelor of the Arts with a major in Spanish. I spent a semester of my junior year at the Universidad de Sevilla in Spain where my language skills really exploded! Partly because of this experience, I strive to use as much Spanish as possible in the classroom to try and emulate that immersion into the language. After college, I worked in sales for a few years and I eventually moved to Hawaii where I attended UH-Hilo and earned my teaching certification. Life brought me back home to Wisconsin shortly after graduating. I have since taught English as a foreign language in Costa Rica and K4-8th grade Spanish at St. Roman’s in Milwaukee. I have also taught and subbed at Oconomowoc, Kettle Moraine, Arrowhead, and even Swallow! In my free time, I enjoy traveling, spending time with family, participating in Fitbit step competitions (my highest badge is 70,000 steps in one day! ), reading, boating, and hiking. Feel free to contact me if you have any questions or concerns. I am eagerly anticipating a great first year and many more to follow at Swallow School! Me llamo Linda Moss y soy maestra de español. I am absolutely thrilled to be teaching at Swallow School as the 5th-6th grade Spanish teacher! I grew up in Waukesha, WI and attended the University of Wisconsin-Oshkosh earning a Bachelors of Science in Education, majoring in Spanish with a minor in English. While earning my degree, I was fortunate to spend a summer in Spain attending the Universidad de Salamanca. It was a rewarding and life changing experience. While away from school I enjoy spending time with my husband Christopher, and my sons Parker and Tyler in Pewaukee. I enjoy cooking/baking, reading, sewing and spending time outdoors with my sons. I look forward to this exciting new school year with all the families, students, and staff here at Swallow!